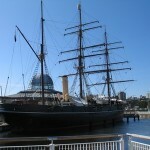 The company has a growing reputation for restoration and repairs to historic vessels and has undertaken many varied projects over the years. One of the most prestigious projects has been the restoration of RRS Discovery in Dundee which we are currently undertaking a major project. 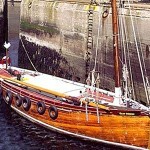 We annually maintain the Reaper owned by Scottish Fisheries Museum, Anstruther. 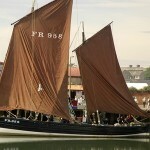 The vessel is over 100 years old and sails the north coast of the UK over the summer months displaying at various events. A project completed some years ago was the restoration of the Clan Gordon owned by James McGregor. This vessel is a sailing Ketch and was in a very poor state on arrival at the yard. The vessel is now berthed on the West Coast and we are currently undertaking a similar project for Mr McGregor.